Become a Member this June at Fitz Club – Racquets, Health and Fitness and Take Advantage of the Best Sports Club in the Eastern Seaboard ! This month of June, get fit and healthy in one of the best sports clubs in Pattaya! With 7 Grand Slam standard floodlit tennis courts, 2 glass-back squash courts, high quality equipment, professional instructors and a variety of fitness classes, we make it easy for you to get in shape and achieve the body of your dreams! 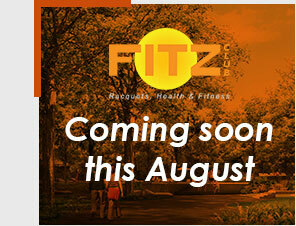 To ensure that we can continue to provide you with the best workout and fitness experience possible, Fitz Club will be undergoing a major makeover which includes upgrading our top-of-the-line tennis courts and redesigning our swimming pools. 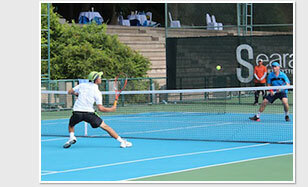 Many have agreed that we offer the best Tennis courts, Squash courts and gym in Pattaya. 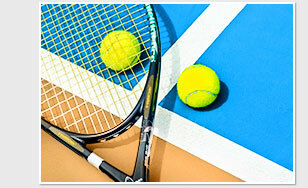 We offer open-play, private lessons, special events and professional tennis and squash tournaments. Our tennis courts are frequented by top ATP players, hotel guests and sports group travelers who set up camp here every year. Watch out for our upcoming Tennis Tournament in August! All 7 our tennis courts will be resurfaced with plexipave material, which is the best product to date and is used by Grand Slam courts including the Australian and US Open. However, we won't just stop there. The courts will be repainted with new vibrant colors exhibiting a more revitalized look while allowing the players to see the balls better. You will love its new oasis-like flare and enjoy a more rewarding tennis experience! Play a match, improve your technique, diversify your game or take lessons from our highly qualified beautiful tennis coach, Anastasia, who loves to teach those who want to learn the sport from scratch. She brings a collaborative and dynamic approach to coaching and will work closely with you to help you achieve your individual goals. This includes developing a fantastic range of programs that combine fundamentals, fitness and fun! 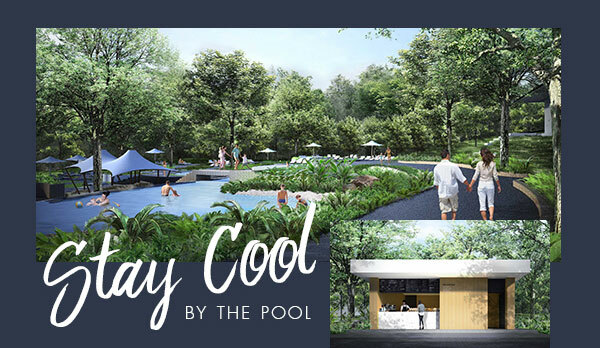 Situated in the middle of an idyllic setting with palm trees and exotic plants, the beautiful free-form swimming pools will exude the ambience of an amazon rainforest where you will feel like you are in a tranquil oasis once this is completed. 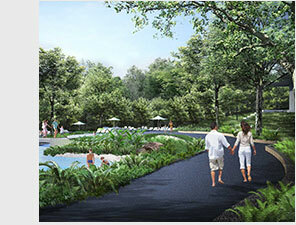 Greenery will frame the entire facility conveying the feeling that you are in your own little fitness paradise. 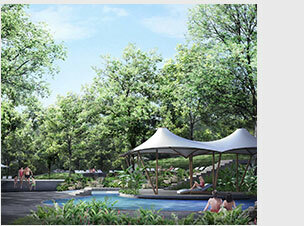 The Fitz Club swimming pool will be the ideal spot to swim, relax and even sunbathe. 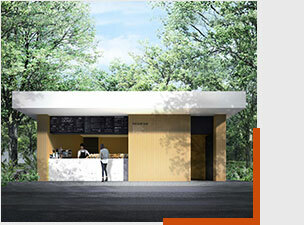 It will feature new gazebos, sun loungers and a cool resto bar where a selection of savory snacks, sweet treats, cocktails and refreshingly cool beverages are served. For younger guests, our new Fitz Club children's pool will also include sliders, fun fountains and shallow areas where they can splash around to their heart's content. For more information about Fitz Club - Racquets, Health and Fitness or to book our tennis and squash courts, please contact Fitz Club reception at Tel no: (+66) 38 250421 ext 2621 or send an email to fitz@royalcliff.com. 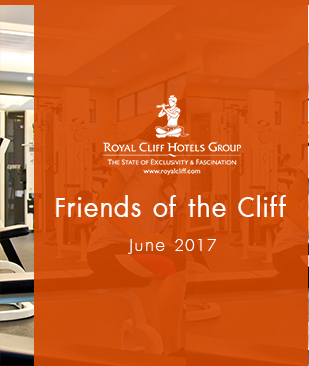 We look forward to see you at the Royal Cliff Hotels Group soon! Tel no:(+66) 38 250421 Ext. 2621 or send an email to: fitz@royalcliff.com.